Donna Haraway is invited by the GECO team at ULB at the end of March! 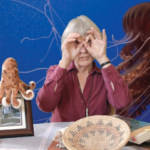 29 March 2017: A study day around and with Donna Haraway at ULB. Full program available here.